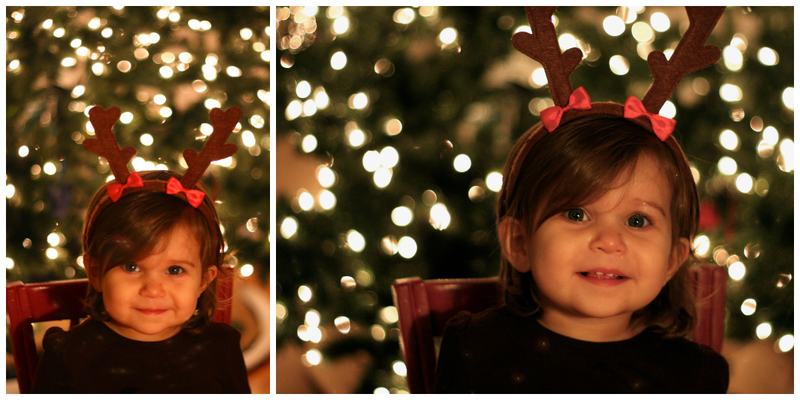 Not only did I try the reindeer headband on Isla in the store, as all the old ladies surrounded her and oohed and aahhed, but I actually bought it. And not only did I buy it, I then took it home and did a photo session with it. And you better believe Isla will be sporting this beauty on Christmas...for at least as long as I can get her to keep it on her head. Or until Ian takes it off. Whichever comes first, we shall see! So now not only am I that mom (the one that frequents Starbucks drive thrus) and that mom (I still bribe with lolly pops), I am definitely still that mom (the one with a trashed car. always.) as well. Whatever mom you are, you inspire me. And what a doll! You seriously just got a doll. I would so be that mom too if I had a girl! So fun! P.S. Thanks for the picture help on my blog. :-) It is now working again.